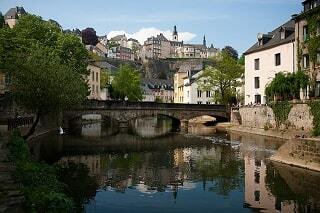 Luxembourg is one of the most attractive countries in the world for foreign job seekers. 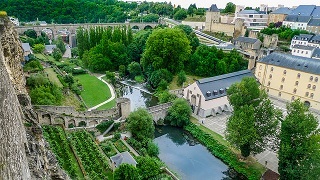 If you are foreign national interested to get a job in Luxembourg, this guide will explain you where and how to find jobs in Luxembourg, which are the most popular expat cities and how to get a residence permit for non-EU citizens. You will also find information about requirements, benefits, and salaries for „in-demand“ jobs in Luxembourg. According to Eurofound Europa, satisfaction with quality of life, an ability to choose or change methods of work and possibility to accumulate overtime for days off in Luxembourg are at a higher level than EU average. Employment conditions in Luxembourg are among the most attractive in the world, and local companies can therefore demand high qualification levels for domestic and foreign job seekers. Accountant in Luxembourg - in-demand profession in Luxembourg based international companies. Financial advisor in Luxembourg – There is a high demand for financial advisors in investment funds and private banking in Luxembourg. Risk analyst in Luxembourg – often hired by banks and investment funds. Loan officer in Luxembourg –loan officer is one of the most perspective professions in this country, because there are more than 150 banks based in Luxembourg. Tax advisor in Luxembourg – in-demand profession, especially for international companies looking for local corporate tax credits and incentives. Surgeon in Luxembourg – one of the highest-paying jobs in Luxembourg, because this profession requires such specialized skills. Production worker in Luxembourg – there is a high demand for production workers in steel production and rubber production companies. There is a social minimum wage in Luxembourg for skilled workers. If you are considered as a skilled worker in Luxembourg, social minimum wage is about 2.300 EUR. However, many foreign citizens in Luxembourg don’t have valid certificates that can prove their professional experience or valid formal education, so salaries are not always above social minimum wage. Employers in Luxembourg offer very attractive job opportunities so the best chances to get a job is to apply for a job that fits your profession and skills. Because of high salaries and great working conditions, huge number of expats are interested in moving and working in Luxembourg. Recruiters in Luxembourg hire the largest number of foreign nationals and cross-border commuters in the following sectors: finance services, health, retail, construction, manufacturing and hospitality. Remember that there are many regulated professions in Luxembourg, including auditors, accountants, engineers, therapists, pharmacists, veterinarians, and teachers. If you are a foreign resident and your profession is one of those, you will need to get the right qualification recognized by the relevant Luxembourg authority or professional association, before you can start working in Luxembourg. Luxembourg is a small country with a total area of 2.586 km2 (999 sq mi) situated in western Europe with a population of less than 600.000. Luxembourg is bordered by Belgium, Germany and France. The official languages are Luxembourgish, French, and German, but English is also widely used, especially as a business language in international companies situated in Luxembourg. About 45% of the population are non-Luxembourgers. 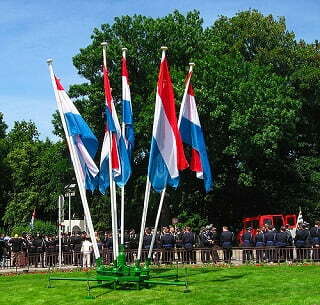 Foreign nationals are usually attracted by the job opportunities and high wages in Luxembourg. The largest communities of expatriates in Luxembourg are: Portuguese community, French community, Italian community, and Belgian community. There are also many smaller communities of foreign nationals from countries outside the European Union. 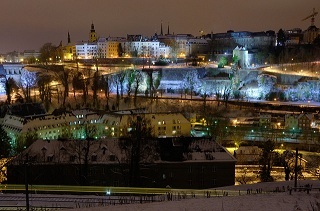 The majority of foreign nationals resides in Luxembourg city, economic and administrative hub of the country. Other favorite cities for foreigners to work are also in Luxembourg district: Esch-sur-Alzette, Dudelange, Differdange and Rumelange. Luxembourg is one of the richest countries in the world. It has the second highest per capita GDP in the world. Its economy is based on banking, steel and industrial sectors. The official currency in Luxembourg is the Euro. Companies based in Luxembourg employ more than 250 thousand foreign nationals and cross-border commuters. The typical workweek in Luxembourg is Monday to Friday, with some retail stores and offices also open for a few hours on a Saturday, rarely on a Sunday. Standard work time for employees in Luxembourg is eight hours a day and 40 hours a week, and the maximum working hours cannot exceed ten hours a day and 48 hours a week. The largest employers in Luxembourg (excluding public sector jobs) are: The Post Luxembourg Group, The CFL Group (the state railway company), The ArcelorMittal Group (steel-making company), The Cactus Group (retail sector), BGL BNP Paribas (financial services), The Dussmann Luxembourg Group (cleaning activities), Goodyear Dunlop Tires Operations SA (manufacturer of rubber products). Job seekers with citizenship in countries of the European Union, as well as Switzerland, don’t need a work visa or work permit to apply for jobs in Luxembourg. But if you intend to stay longer than 90 days, you must go to the local Municipal Office to declare arrival and intention to stay within the first seven days of arriving. If you are non-EU citizen and coming to Luxembourg for employment or self-employment for longer than 90 days will require a residence permit. Obtaining a residence permit requires solid effort and paperwork, but if you arrive in Luxembourg and seeking for a job opportunities, you will have 90 days to legally be in Luxembourg and find a job. It is recommended to apply for a residence permit as soon as you have an employer contract, because it might take a couple of months to process your application.